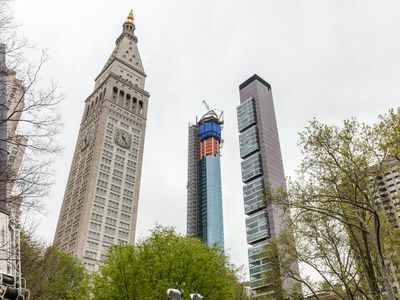 As of last week, the Flatiron District’s tallest tower is one step closer to completion: the 777-foot structure at 45 East 22nd Street, developed by Ian Bruce Eichner’s Continuum Company, has reached its full height. 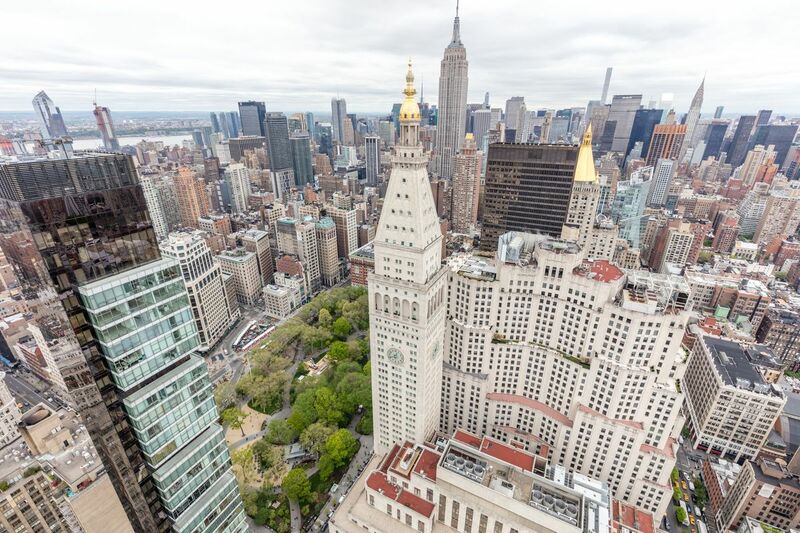 Curbed was on-site for a topping-out ceremony last week, held on the 42nd floor of the building; from that height, we were also able to get some pretty spectacular views of Midtown, Brooklyn, and beyond. The project has been in the works for several years now, and it’s already 60 percent sold, according to a spokesperson. Now that it’s at its full height, the Kohn Pederson Fox-designed building will take its place as the Flatiron District’s tallest tower. It’s also one of the most unusual, with a narrow, cantilevered base that rises to a wider, slightly to-heavy pinnacle. Plaza Construction is the firm responsible for that aspect of the project.